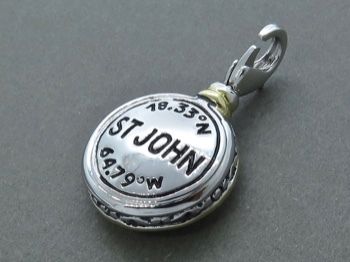 Absolutely love this custom made charm. 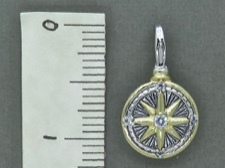 This perfect size pendant is an exclusive design for Caravan Gallery with the longitude and latitude of Cruz Bay, St John. 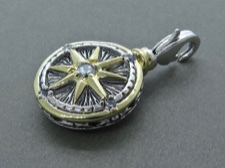 The reverse side has a beautifully crafted compass rose - so you always know where you have been or where you are going. The metal is a lead-free premium alloy with rhodium and 14K gold electronic plating. The finish is permanent, non-tarnishing, and easy to care for. 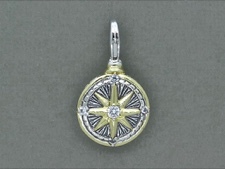 The compass rose is studded with fine cubic zirconia. 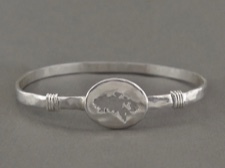 The bail is a versatile lobster clasp. Please see below for a size reference.